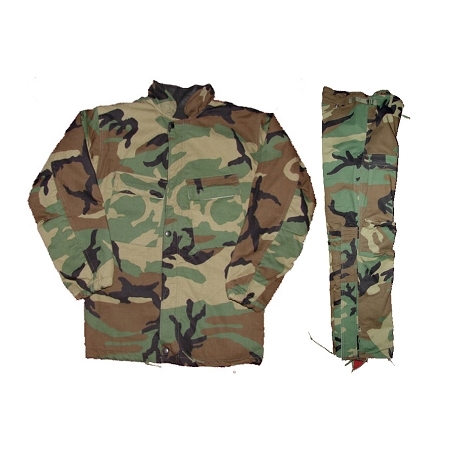 Chemical protective suit manufactured for the military in the mid 80's. Designed to be worn as an outer garment for protection against chemical agents. Full cut, as it was meant to be worn with other clothing. The jacket and trouser each have two external pockets.